Oil pumps work in the desert oil fields of Sakhir, Bahrain. Oil prices could be headed lower after the preliminary nuclear deal between Iran and six world powers, even though it does not loosen sanctions on Iran's oil exports. NEW YORK (ASSOCIATED PRESS PRESS) — Oil prices could be headed lower after the preliminary nuclear deal between Iran and six world powers, even though it does not allow Iran to export more oil. In the short term, the deal may make it easier for Iran to sell the oil it is already allowed to sell under the sanctions, which would increase supplies on the world market. And the newfound cooperation between Iran and the West eases tensions that pushed oil prices higher in recent years. But the deal, described by both sides as only a first step, raises the possibility that a more comprehensive agreement would eventually allow Iran to restore oil production to pre-sanctions levels. That could add 1 million barrels per day of oil to world markets — enough to meet the entire global growth in demand for 2014 projected by the International Energy Agency. "The initial reaction is going to be a more stable oil market," says Anthony Cordesman, a Middle East and energy expert at the Center for Strategic and International Studies in Washington. "But everything will depend on if there's a final agreement and how it is implemented." Iran reached an agreement Sunday with the U.S. and five other world powers to freeze its nuclear program for six months while the two sides work on a more permanent deal covering Iran's development of nuclear technology. In exchange, some sanctions against Iran will be relieved, and it will get access to some frozen overseas assets, including $4.2 billion in oil revenue. Kevin Book, an analyst at ClearView Energy Partners in Washington, predicts the price of Brent Crude, an international benchmark used to price oil used by many U.S. refineries, could fall to $90 a barrel by the end of next year if talks yield a final agreement. That's 19 percent below Brent's level Monday, where it closed down 5 cents at $111 a barrel. Analysts caution, though, that if talks on a final deal fall apart — or even appear to be faltering — oil could instead rocket higher. Iran and the West have been seemingly close to an agreement on nuclear issues in the past, only to abandon talks and descend deeper into acrimony. "Even the slightest hint of an unraveling of the Geneva accord could restore a vibrant risk premium to crude," Book says. But oil prices appear to be headed lower for now, in part because the prospect of more Iranian oil is coming at a time when production is rising in the U.S., Canada, and elsewhere, helping global supply growth outpace the growth in demand. The average price of Brent crude so far this year is 3 percent below last year's average, and it's on track for its lowest average price since 2010. Lower prices of Brent crude have helped reduced U.S. retail gasoline prices this year, which are also on track for their lowest annual average since 2010. A further reduction in oil prices could bring additional relief to drivers. "The perception, whether accurate or not, that next year's surplus could be supplemented by additional Iranian barrels will be bearish for prices," says Judith Dwarkin, director of energy research at ITG Investment Research. Iran produces 2.7 million barrels of oil per day, 3 percent of world demand that averages 91 million barrels per day. Iran was once the world's third largest oil exporter, but since 2012, when Western nations expanded economic sanctions against the country to include oil, its exports have dropped 60 percent to less than 1 million barrels per day. Limited exports were allowed to continue to some countries, especially in Asia, that rely on Iranian crude. This weekend's preliminary deal does not change those sanctions, which the White House says cost Iran up to $5 billion per month. The deal, the White House says, allows "purchases of Iranian oil to remain at their currently significantly reduced levels." But the Geneva deal may make it easier for Iran to sell the oil allowed under the sanctions. 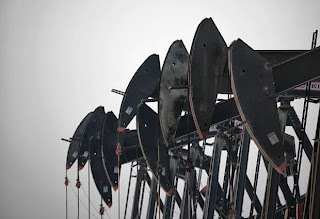 ClearView's Book estimates that Iran could increase sales by about 285,000 barrels per day over the next month before reaching the 1 million barrel per day limit allowed by the sanctions. While modest, that could help lower global prices by making up for a sharp drop in Libyan crude exports in recent months caused by civil unrest. The simple fact that the two sides reached any agreement at all will also help reduce prices. Oil has been more expensive in recent years in part because traders worried that the heightened tensions between Iran and the West would lead to a sudden interruption of oil supplies. Iran in the past has threated to block or attack oil shipments through the Strait of Hormuz, a narrow passage in the Persian Gulf through which one-fifth of the world's oil passes. Also, traders worried that the West would further tighten limits on Iran's oil exports. While those limits won't be loosening soon, the threat of even less Iranian oil on the world market has all but evaporated — for now.